In two and half decades, Dadaab and Kakuma have become cities of war. The ones you can never leave. Every few kilometers past Thika, two sets of yellow spikes close off the road. Men and women in combat gear stand guard, stopping cars arbitrarily and scanning faces and bags. It helps if you don’t look Somali, and if you remember exactly where you are going and what you are going to do there. Ours is a bus full of artists, many of them spotting dreadlocks and carrying guitars and graffiti equipment. In simpler years, anyone with dreadlocks would be shot or arrested on sight. It helped if you had a cache of weed on you; but it wasn’t unusual for it to magically appear once you were in cuffs or dead. It came from a time when the only people with dreadlocks lived in the forest and had grand ideas of land and freedom. Today, you can wear your hair however you want, but you can’t be Somali. One particular roadblock is unnerving. The men who man it are in plainclothes and sneakers. Two wield AK47s with spare magazines taped to the one in the slot. The third has a sub-machine gun. On the side of the road, a white Defender with faded number plates is parked, with its engine still on, facing the road. Little about them tells you they are cops, but if and when they stop you, you stop. It is the road to Garissa, the last frontier town. There is an elaborate stop at the city gate, on a bridge that looks like a scene from an ancient war movie. It is a beautiful city with paved roads and working street lights, but it is also one with visible military tanks and an bubbling tension. If I think this is bad, my host helpfully tells me, then maybe I should venture on the road past here. You can’t drive up alone. Each convoy has an armed guard and a minimum speed limit. If you have to move past here, he adds, you can only be going to one place, Dadaab. The city you can never leave. When the first refugees from Somalia crossed over to Kenya in 1990, no one thought the conflict would last a lifetime. 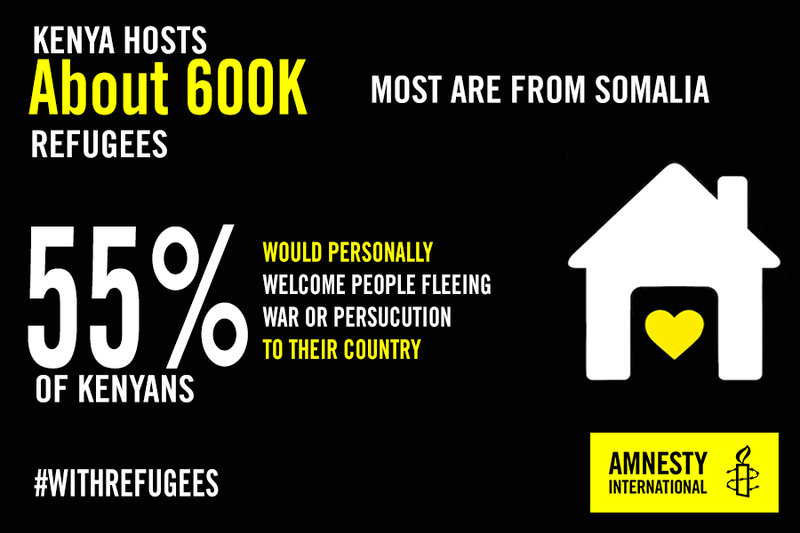 Up until that point, refugees had been going the other way, fleeing Kenya’s wars with Somalia and her proxies. In 1981, the Somali president, Siad Barre, sought a relative peace with Kenya and Djibouti. The guns went quiet somewhat, and then, in 1986, Barre got into a road accident that changed everything. When the war came, those closest to the border fled across to the Kenyan side. 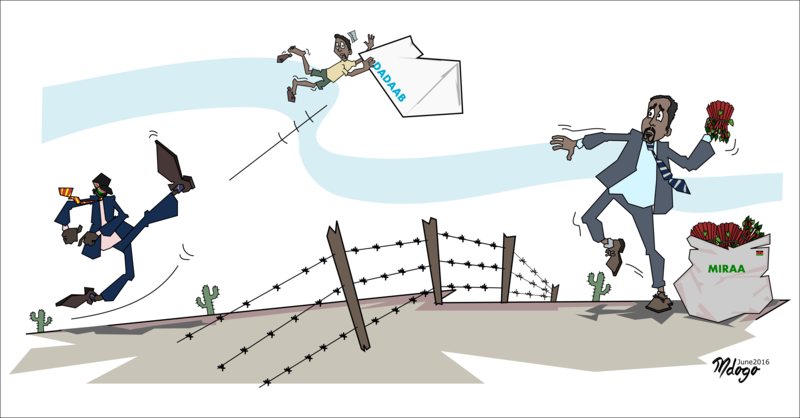 The border had always been more an advisory than a divider, and mattered more to the powers in Mogadishu and Nairobi than to the people on the ground. 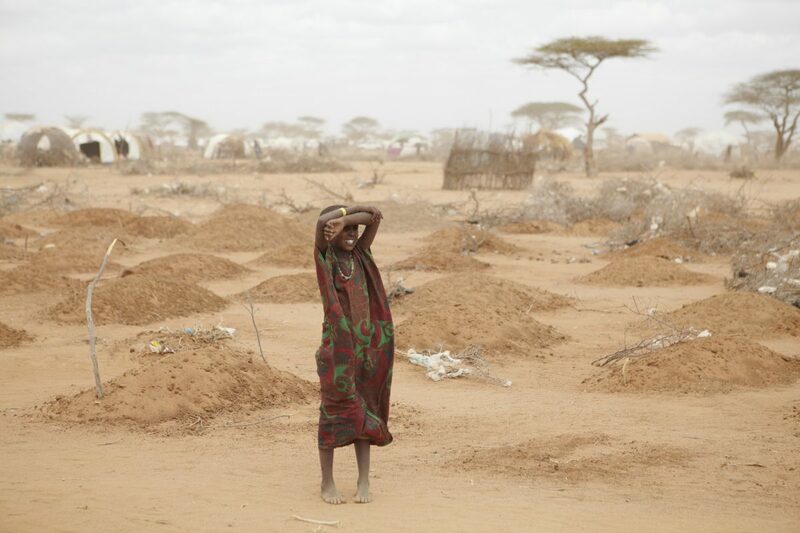 As the numbers grew, Kenya offered up the desert lands of Dadaab, 100kms from the border, for a temporary settlement. From October 1991 to June 1992, a small city of lost souls came up, one tent at a time. It became two, and then three, and then five, complexes. Stretching thousands of kilometers in neat clusters and growing into a home for half a million people. All of them trapped between a war they could never win and a city they could never leave. A thousand kilometers away, another small city of tents and war grew from the small town of Kakuma. It was a similar story of pain, conflict, and flight. This time in Sudan. It too, would burn for two decades. And then some. At the time, the idea of hosting thousands of people fleeing the war wasn’t at all controversial. The Kenyan political class knew what it had done, joining up with Ethiopia and many of Siad Barre’s enemies to oust him. There had been no plan for what came after him, and no one thought the embers would still be burning three decades later. For Kenya, Kakuma and Dadaab came as a chance to finally figure out the North. Up until this point, the north was a desert no one in Nairobi knew much about but its wars and bandits. It bled money from the state, about $8 million a year at the height of the Shifta wars and its massacres. The north wasn’t part of the Kenyan narrative, and yet it wasn’t exempt from it. 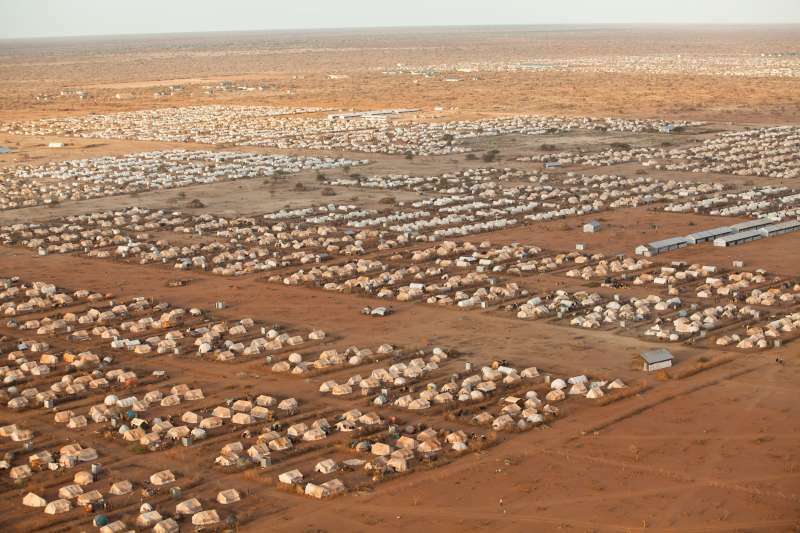 It could play host to the refugees with little or no consequence to the people in Nairobi. Except respect on the world stage and money, lots of it. On the political front, Kenya was a prolific meddler. On the economic front, it was a harvest. Where refugees went, money followed. There were aid organisations and international bodies from the UN to the World Food Programme. There were cuts to politicians, and of course concessions. On the social front, outside of the north and a few places such as Eastleigh, there was nothing but silence. Despite hosting refugees for more than three decades, Kenya has never really had a national discussion around it. It’s always been guided by a few political and economic paradigms, and very few social ones. The first is that we owe each other hospitality when our homes are on fire. It is the African thing to do. Without question. Even if your neighbor has badmouthed you before. We have ourselves directly created refugees before, in our proxy fights with Uganda, Somalia; our decades of political repression, and the post-election wars since 1992. True to form, one of the first refugees Kenya took in was Siad Barre himself. It offered asylum to him almost like a poisoned chalice. 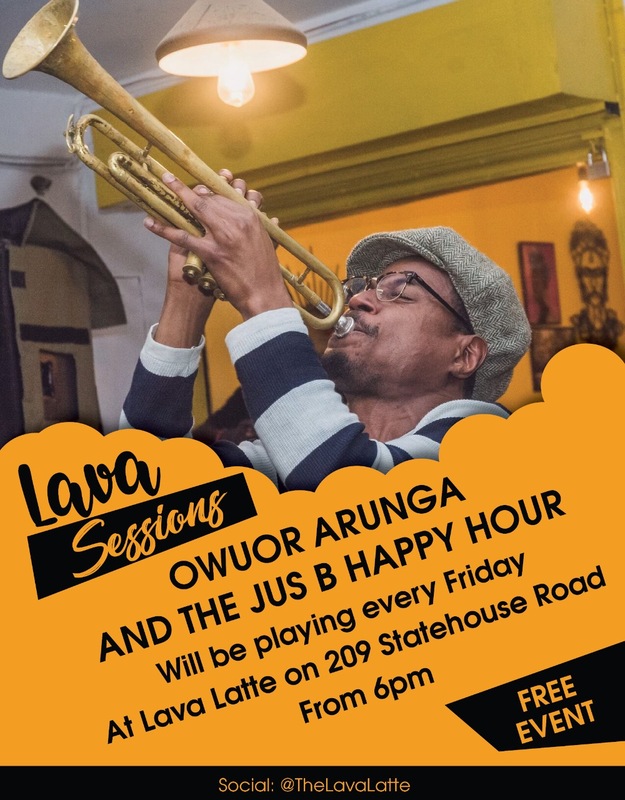 He took it, and moved to Nairobi for two short weeks as a guest of the state. The second paradigm is money. Whatever the discussion around refugees, their status in international law gives them priority over many other groups of people. Money flows where refugees go. After the 2011 kidnapping of its aid workers, Doctors without Borders pulled out all its foreign workers. In the last two or so years, the World Food Programme has reduced food rations as money has been diverted to the refugees of the Syrian conflict. The $25 million per year economy is drying up, and at least two aid workers I spoke to attributed the latest push to repatriate refugees to the greater focus on Syria. “It’s not that Kenya doesn’t want to host the refugees, it’s that it doesn’t want to pay for it,” one added. As a society, we passively accepted refugees. Since it’s always been a political discussion, the war drums of key words such as “security” are bound to raise little protestations. The camps have always looked like a favor to the West, and not to the people of Somalia. Our hosting them, at least to our political representatives, is now a pawn whenever we want something. Either you give us this, or we bundle hundreds of thousands and dump them on their side of the border. But they are now part of us. Of what it means to be Kenyan. Their heritage is as Kenyan as the next person’s, and our future is tied to them. If they stay and we let them be part of our future, we grow together. If we send them back to a warzone (that we are also threatening to get out of), we fuel an endless war and break our own laws. Our weak attempt at sneaking in a law to limit the number of refugees we can host (150k, as part of the Security Bill), ended up being trashed by the courts. As neighbors to, and participants in, an ongoing war, we can’t chase people who’ve sought refuge here away. They are not here because it’s an honor to be in Kenya, they are here because it’s an existential threat to be in Somalia. If we were serious, we would solve that war first, and tell them of home. We are fighting a war of attrition in Somalia, and we want to send half a million people there. And a hundred thousand or so back to a Sudan that hasn’t decided whether its at peace or not. But the need to close it, the president says, is “a story of African solidarity and resilience.” It is not a story of our own culpability in these wars and the ones before, or the fact that the people of Dadaab and Kakuma know no other home. Some would have to go to Somalia for the first time in their lives. A good chunk of the population moved there when they were five years old or younger. They’ve since grown up, gone to school, and gotten married without having ever left the camp. The third-generation of refugees is already in school. They’ve lived their entire lives in a gilded cage, in Kenya’s fourth largest city. And the world’s largest city of tents. Read the journey from the Shifta War to AlShabaab, How Kenya Set Herself Up.